The Vols have received plenty of good news on the recruiting trail lately. Four-star 2020 quarterback Harrison Bailey committing earlier this week, and the momentum kept rolling Saturday morning as four-star running back Eric Gray decommitted from Michigan, and all signs point towards him committing to Tennessee in the near future. The Memphis native tweeted out the news early this morning. According to the 247Sports Composite rankings, Gray is the No. 209 overall player in the country and is the No. 8 player in the state of Tennessee. Gray plays for Lausanne Collegiate School in Memphis, and he had an incredible senior season. Per MaxPreps, Gray has totaled 2,363 rushing yards and 39 touchdowns on just 210 carries in his senior year. That’s over an 11 yard per carry average this year. In his high school career, Gray has run for 8,051 yards and 123 touchdowns while averaging 9.7 yards a carry. According to the TSSAA, Gray’s 8,051 yards are the second-most in a career in state history. 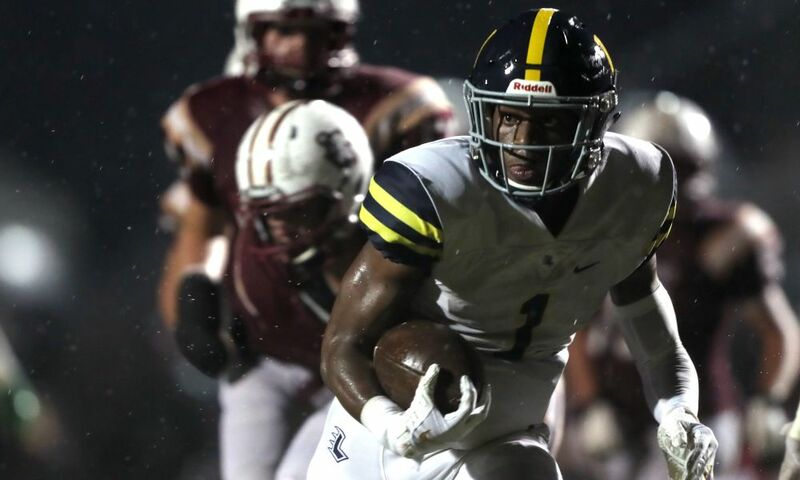 Gray committed to Michigan back in July, and he said at the time that the school’s academics and his relationship with Jim Harbaugh were the reasons he committed to the Wolverines. That commitment, however, became weaker by the day, which ultimately led to the decommitment. Ole Miss is still considered to be in contention, but it appears as if Gray is all Vol at this point. Gray will be an early enrollee for whatever school he signs with, and the 5-foot-10, 193-pound running back will join the school of his choice in January and will look to participate early in spring practices. He is an elite playmaker, and he will have every opportunity to make an early impact.